It's official. No more Borders. Business Insider has a look at how this will affect the industry; Pimp My Novel has another. Proving once again that book people are good people, Chris Kubica and Colleen Lindsay are spearheading an effort to find new publishing jobs for former Borders employees. - Author Nova Ren Suma argues against the common advice to remember that you are not your book. - Be proud of your work, urges author Natalie Whipple. - Author Delilah Dawson has a thought-provoking post in which she wishes she'd never been told she was smart. - Guest blogger Kathi Lipp asks if you're laying down tracks for the future you want. - My girl Samantha Mabry hates "borgeous" (boring + gorgeous) writing. - The Intern announces Sh*tty First Draft Week! (The asterisk has a meaning, guys.) She also breaks down the awesomeness of The Hunger Games with bright colors and video game references. - Twelve authorial intrusion mistakes to avoid, from author Roni Loren. - Check out Lynn Viehl's list and testing of place name generators. - Author Erin Bowman guest posts at Let the Word Flow with advice on digesting your edit letter. - "How to Drive Yourself Crazy, Writer-Style," from author Dawn Metcalf. - The Sharp Angle advises you on selecting the proper hook. - 5 creative flaws that make you look amateur, from Story Fix. - Agent Rachelle Gardner debunks the myth of the lone ranger writer. watch Emma Watson in Guillermo Del Toro's adaptation of "Beauty and the Beast"
reassess your love in light of Sady Doyle's "In praise of Joanne Rowling's Hermione Granger series"
die laughing at "Harry Potter Out of Context"
or buy yourself this OH MY GOD WHAT THE... *whimper* .... this horrifying Baby Voldemort doll. - Why librarians should be more like Lady Gaga, from the Washington Post. - Flavorwire has a cool collection of ten unusual bookstores. - Have questions you'd like answered at the end of Looking For Alaska? Submit them to John Green on his Tumblr. - The Book Lantern takes author P. C. Cast to task not just for using one of my least favorite insults ever, but for her reaction to the mother who pointed it out. Don't miss the interesting stuff in the comments. - The girls at Forever Young Adult are organizing a world-wide book club and they want you to join! - Patrick at Goodreads crunches some numbers after The Guardian's post about authors' best works versus their best known works. - Author Sarwat Chadda encourages us to embrace the "unworthy" heroes of color. - I broke down the trends in 2010's YA covers and discovered they're not terribly dark-- and they are super white. - Sometimes the red flags aren't there, and sometimes they are. Victoria Strauss has a cautionary tale about a seemingly legit publishing company, and Phoebe North summarizes a bizarre and sad story of one writer who was either scammed into believing she'd signed with a major agent, or wants to scam us into buying her self-published book. EDIT: Writer's House put out a statement confirming that fake emails are being sent, impersonating their agents. The link is here, along with a Stacia Kane's thoughts on how ridiculous it is that online culture makes pranks like this okay. - Twelve tips for writing more blog posts, from John Haydon. - Agent Jessica Faust posts a benign-- I'd even say *gasp* helpful-- list of query letter red flags; good 'ole Anonymous Trolly McTrollerson mucks up the comments. - As agent Sarah LaPolla put it, "Self-pubbed writers who want to be reviewed like the big boys - hope ya have thick skin..." Meanwhile, author Cynthia Leitich Smith writes an open letter to debut authors dealing with hurtful reviews. - Wow, congrats to SCBWI, whose 40th annual conference completely sold out for the first time in their history! Were you lucky enough to register in advance? Check out the link for advice on what to expect. - Self promotion is hard, and even folks like Nathan Bransford have the occasional stumble. Author Laura Pauling takes a look at why his tongue-in-cheek promotional post failed. - Author Jody Hedlund has tips on making your marketing less about you and more about your readers. - Editor Deborah Halverson talks about flipping the switch from introvert to extrovert (and gives away a copy of her new book, Writing Young Adult Fiction for Dummies). - Author Colleen Mondor has some cool ideas about taking postcards and bookmarks one step further. - GalleyCat is assembling a list of authors who want to connect on Google+. - Don't forget traditional media, urges Michael J. Martinez. - You know how we're always saying, "Be careful what you put online! The internet is forever!" No really. We mean it. Just ask the folks in this article who didn't get jobs because of dumb things they said in cyberspace. - It's Comic Con time! Never fear: The indefatigable Cleolinda Jones has a monster round up of news from the first day. And Cinema Blend live-blogged the Breaking Dawn panel, which included our very own Veronica Roth! I hope it was good, considering people have been in line for it since Sunday. SINCE SUNDAY, y'all. - The poster that was on fire: Check out this awesome Hunger Games motion poster. - Check out this crazy in depth "State of the Internet" graphic from Online Schools. - Google+ claims they need to know your gender because WON'T SOMEBODY THINK OF THE PRONOUNS. - Publishers Weekly picks some of the best lit-related "My Life Is Average" entries. - What's cooler than book cover skateboards? Book cover Band Aids! - Jezebel has 12 wonderfully deconstructed fairy tales-- click through to the artist's site for the full effect. - Win $1000 and agent consideration from Write On Con! - Go play "Name That Book" with Audrey and win an Amazon gift card! - Kari at A Good Addiction is giving away an annotated ARC of Sophie Jordan's Vanish! - You can win an ARC of Jay Asher and Carolyn Mackler's The Future of Us from Katie Coops! - Win a signed copy of City of Fallen Angels by Cassandra Clare from YAtopia! - Dystopian Divas is hosting their very first giveaway: A copy of The Marbury Lens! 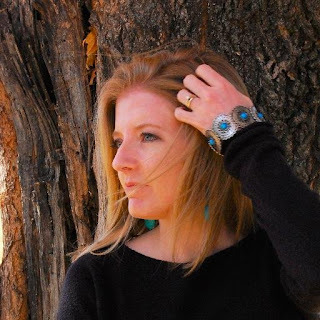 - Win Write Great Fiction: Plot and Structure from Claire Dawn! Font nerds (hello my friends! ): Watch "I'm Comic Sans, A$$hole." Twilight nerds (hello more friends): Talk more good like KStew! Another great collection - I want literary band-aids!!! What great links! and thanks for linking to my post. The most interesting aspect of Nathan's post is that he did makes sales but my question is - is that the best way to get long term sales? Thanks! Great job, as always, Kate! That poster brought tears to my eyes. Thanks for the links, Kate! I've been a client of Writers House for twelve years, so I thought I'd comment on the hacked e-mail horror. When I queried WH back in 1998, I had a personal rec from a Big Name Author and a two-book contract offer from a major publisher in hand. My agent (Robin Rue) did not sign me instantly; she asked to see the full manuscripts plus other samples of my work, and then she called me to talk about my career goals. Then she had to think about it. The whole thing took about three weeks. While some agencies or agents do move faster, and occasionally a promising writer will end up having agents fighting over them, when it comes to signing with a prestigious agency it generally does require some time. Always love Field Trip Friday! This week I especially enjoyed "In Praise of Joanne Rowling's Hermione Granger Series," which really made me think about what literary leading ladies are as awesome as Hermione. So glad y'all enjoyed-- and Michelle, b/c you're a masochist?